A day at the DMV office. A father is upset and loud after his daughter failed the permit test. Not because she failed, but because the permit test had several questions about motorcyclists and bicyclists. The father didn’t think those questions belonged in a car theory test. An officer tried to reason with the father and explain that as a car driver you need to share the road with pedestrians, bicyclists, motorcycle riders, and large trucks. That is why the written knowledge test has several questions about how to safely share the road with others. The father didn’t have any luck in his pursue to change the test questions. They are still there. And, if anything, they are more frequent than before. Why is this? Well, the number of motorcycles on our highways keeps getting higher. You see them not only in spring and summer, but during the entire year. Motorcycles go as fast as cars and trucks. At the same time, riders face extra dangers caused by weather and road conditions. The risk of injury in a crash is much higher. 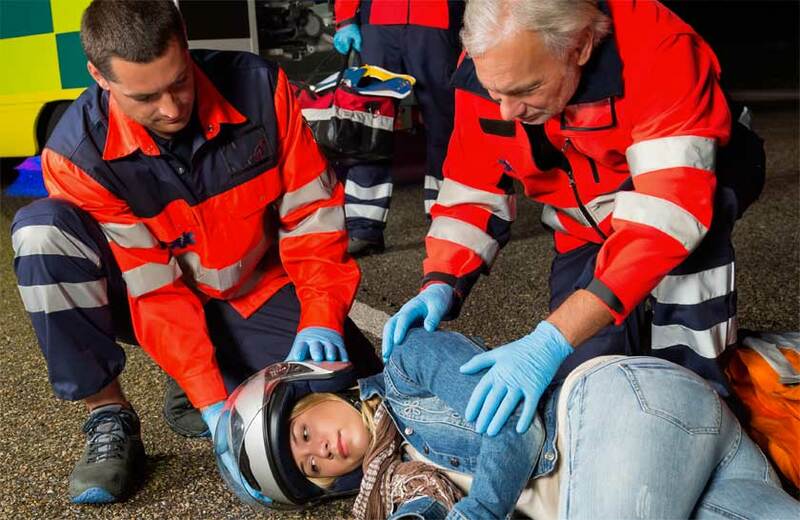 Because of their vulnerability in an accident, it has become increasingly important for a driver to pay extra attention to motorcyclists on the road. Here are some things you should know and learn for your official written knowledge test. 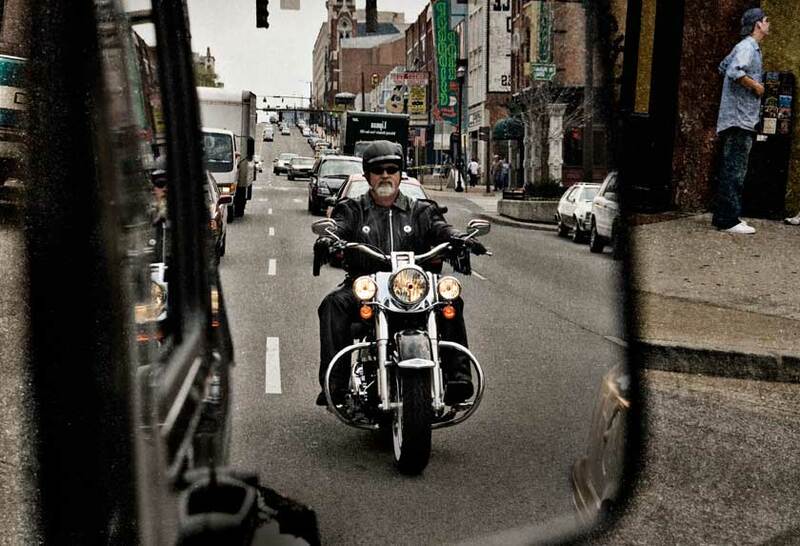 ANSWER: B. Motorcycles can be hidden in blind spots because of their small size. Always check your mirrors and blind spots for motorcycles. Signal early and check twice before changing lanes. ANSWER: A. Due to their small size, motorcycles can be harder to see, and motorists tend to underestimate their speed. ANSWER: A. 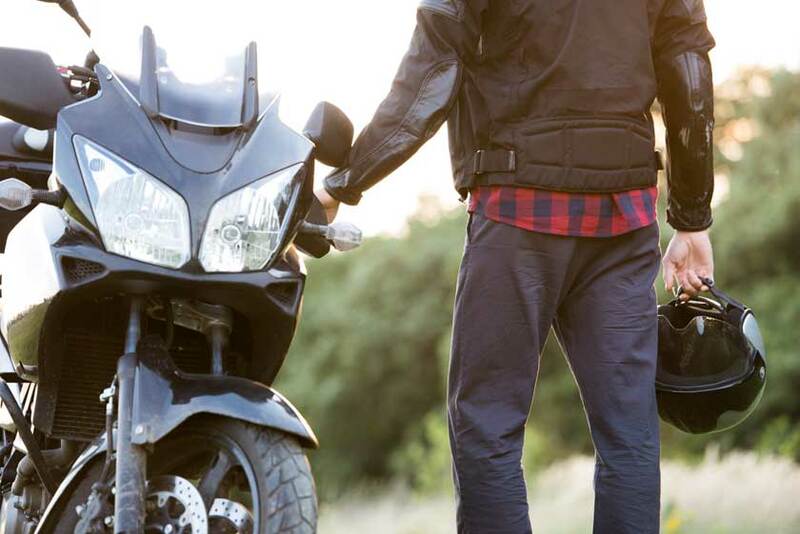 Many drivers misjudge a motorcycle’s speed. Because of its small size, a motorcycle may seem to be moving faster than it really is. It may also look farther away than it is. ANSWER: C. Because of their small size, motorcycles can be hidden in blind spots. Check for bicyclists and motorcycles before changing lanes. Question 5: Which of these statements is true regarding motorcycles? ANSWER: C. Follow motorcyclists at a greater distance. 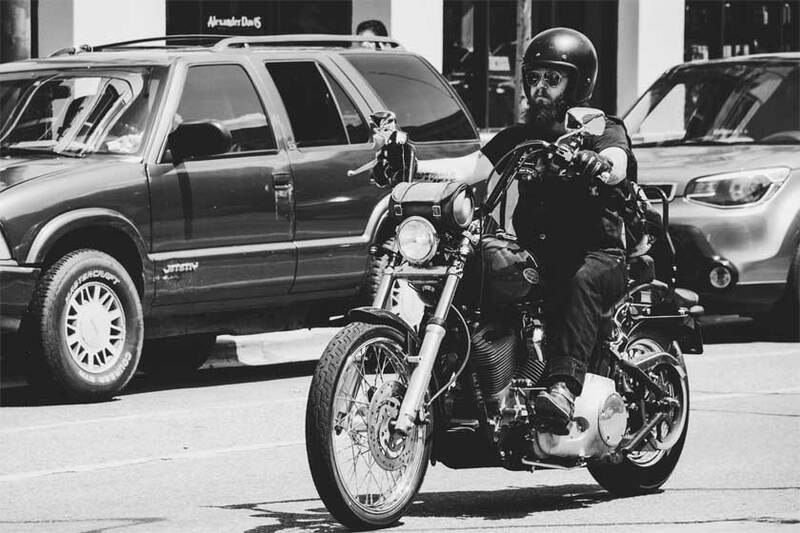 Allow at least three to four seconds following distance when behind a motorcycle so the motorcyclist has enough time to maneuver in an emergency. In dry conditions, motorcycles can stop more quickly than a car, but bad road conditions make stopping quickly difficult. Question 6: True or false? A driver does not need to allow as much distance when following a motorcycle as when following a car. ANSWER: B. A driver need to follow a motorcycle at a greater distance. 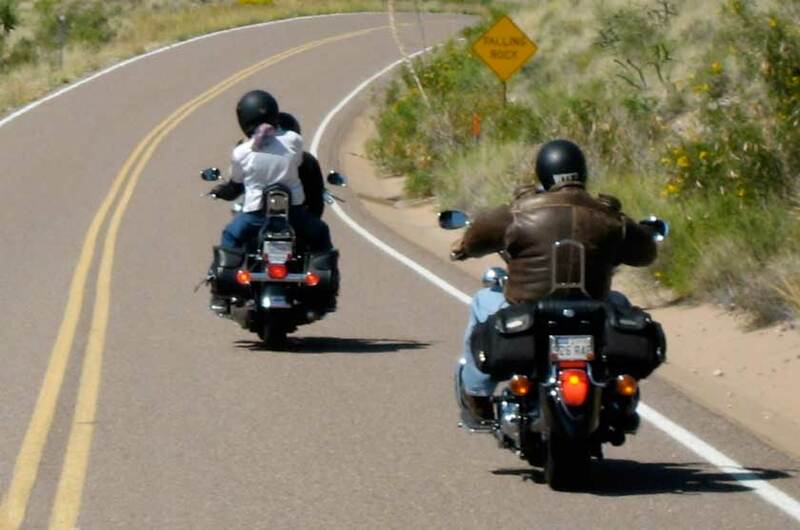 Things like potholes or railroad tracks often require motorcyclists to change positions within their lane. Gravel roads decrease traction and may cause a rider to slow down or brake where a car would not. Following too closely endangers your life and that of the motorcyclist. ANSWER: A. Approximately one-half of all motorcycle crashes involve another motor vehicle. Question 8: Where are crashes between motorcycles and other motor vehicles most likely to occur? ANSWER: B. Most motorcycle/motor vehicle crashes happen at intersections. Usually, the other vehicle turns left in front of a moving motorcycle when the driver of the vehicle should have yielded the right of way. ANSWER: A. Motorcyclists have the same rights and responsibilities on public roadways as the driver of a car. While they must follow the same traffic laws, motorcyclists face other dangers and are more vulnerable. Question 10: When can a motorcycle rider use a complete traffic lane? ANSWER: B. Again, motorcyclists have the same rights and responsibilities on public roadways as the driver of a car. They are entitled to a full lane on all highways and streets. 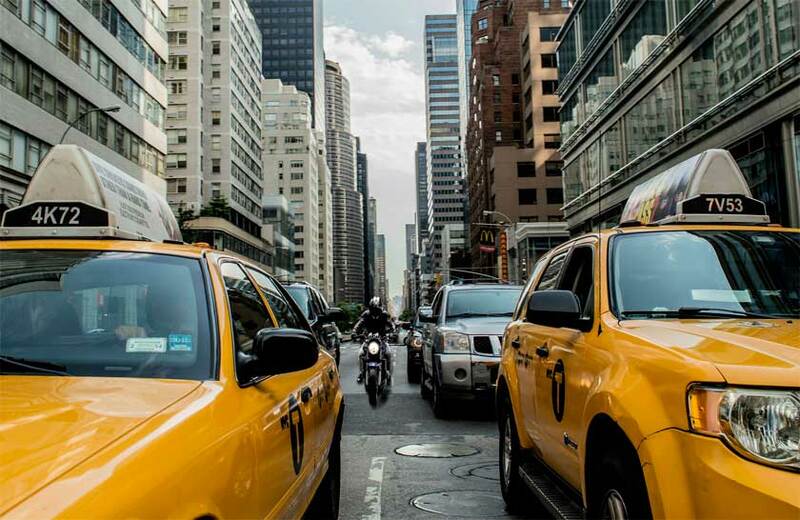 Although it may seem as though there is enough room in the traffic lane for a vehicle and a motorcycle, remember the motorcycle needs room to maneuver safely. ANSWER: C. Never share the lane with the motorcycle or pass a motorcyclist with only a few feet of space. Move completely to another lane before and during the pass. 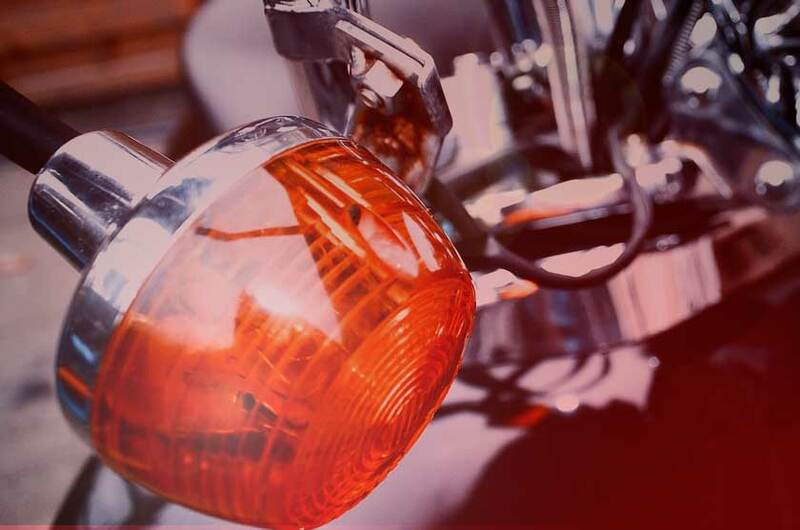 ANSWER: C. Don’t be fooled by a flashing turn signal on a motorcycle. Motorcycle signals usually are not self-canceling, and riders sometimes forget to turn them off. Wait to be sure the motorcycle is going to turn before you proceed.